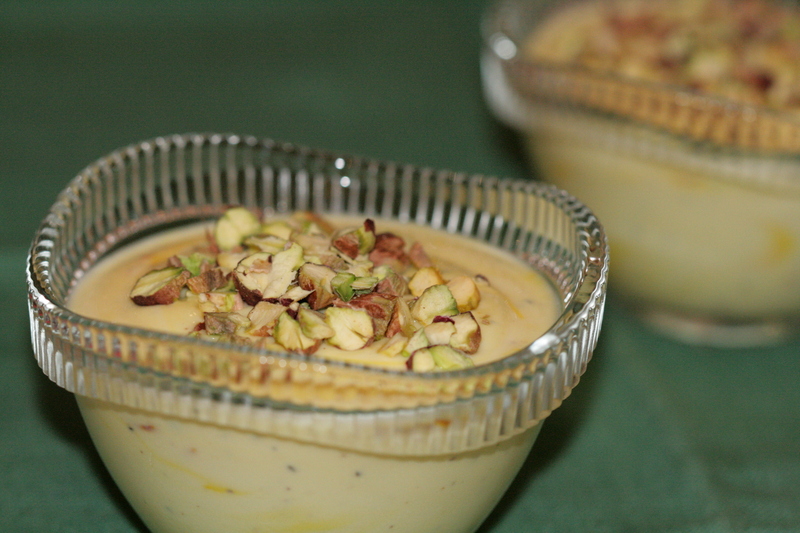 Shrikhand is a popular Maharashtrian sweet and is sure to feature on most wedding menus. It is usually eaten with puris as part of a main meal although it can also be served as a dessert. This simple and delicious yogurt based dessert is healthier and lower in calories than most Indian sweets. This version serves 2 and the quantity can easily be multiplied. Pour the Greek Yogurt into a mixing bowl. Add in sugar, cardamom, nutmeg and saffron strands. Mix it well with a whisk and let it rest in the fridge for 30- 40 minutes. This gives the saffron enough time to lend its colour to the shrikhand. Taste the shrikhand and add in more sugar or spices, as per your preferences. Dish out the shrikhand into bowls and scatter the chopped nuts before serving. Use 250 gms of full fat yogurt. Hang it in a cheesecloth for an hour or so to get rid of any excess moisture. Add in a tablespoon of cream to give it a rich and moist texture. Follow the instructions from step 2 above. This entry was posted in Desserts and tagged cardamom, Greek Yogurt, Maharashtrian desserts, Maharashtrian festive food, Maharashtrian wedding menu, nutmeg, pistachios, saffron, shrikhand, yogurt based desserts. Bookmark the permalink.